The Wells Fargo Business Secured Credit Card is the best secured small business credit card. It’s ideal for owners looking to build or improve their credit because it’s cheaper to own and offers a higher credit limit than many other secured credit cards. The card’s ongoing annual percentage rate (APR) is an excellent 17.40%. The best secured business credit cards charge modest annual fees below $50 and assess APRs of 25% or less. They also report your spending and payment history to credit bureaus, which could help improve your credit score. The Wells Fargo secured business credit card charges a $25 annual fee and offers ongoing rewards, which is rare for a secured business credit card. We give it 4 1/2 stars out of five. We evaluated all aspects of the Wells Fargo Business Secured Credit Card. It offers a low-interest rate that otherwise wouldn’t be available to owners with credit scores below 580. If you have a higher credit score, look to the best small business credit cards. This Wells Fargo card’s best attribute is its credit line, which is equal to a collateral deposit of up to $25,000. The First National Bank of Omaha Business Edition Secured Visa Card allows a credit line up to $100,000, but your available credit is just 90% of that deposit. We weigh fees, APR, and the minimum and maximum credit lines heaviest when grading business secured credit cards. Before applying, you should make sure the issuer will report your account activity and payment history to credit bureaus so that you can improve your credit. Wells Fargo is the only business credit card that reports to a business credit bureau. When grading business secured credit cards like the Wells Fargo Business Secured Credit Card, we weigh the annual fee and ongoing APRs the heaviest. We also consider the card’s rewards, security deposit, introductory APR, and any other fees. The only piece that is missing from this card is 0% APR period and an introductory rewards offer. The Wells Fargo Business Secured Credit Card is best for owners with a credit score below 580 and cash reserves of up to $25,000. Owners with poor credit or startup businesses may not be able to qualify for an unsecured credit card. They can use the Wells Fargo secured business credit card to pay for business expenses, control employee spending, and build credit — all with the goal of graduating to an unsecured small business credit card. This Wells Fargo Business Secured Credit Card does not offer introductory 0% APR financing. Its ongoing APR is 17.40%. That APR is the lowest for nationally available secured business credit cards. It also beats the APR offered by some personal secured credit cards, including the Discover it Secured (25.24%). Unlike credit cards for new businesses, secured credit cards do not typically offer introductory 0% APRs, and the Wells Fargo Business Secured Credit Card is no different. You’ll pay no foreign transaction fee on purchases made outside the U.S., which is unusual for a secured business credit card. The BBVA Compass Secured Visa Business Credit Card charges 3%. Your payment due date on the Wells Fargo Business Secured Credit Card is up to 25 days after the close of the business cycle when you receive your bill. Pay your balance in full by the due date to avoid interest charges. If you are charged interest, you’ll pay no less than $1. This grace period on payments is identical to what the Capital One Secured Mastercard, a personal secured credit card, offers. The Wells Fargo Business Secured Credit Card offers no introductory rewards, but it does offer ongoing rewards. 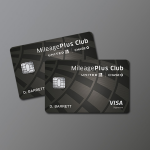 Cardholders get to choose whether they’d like to receive their rewards in the form of points or cash back. Most secured credit cards offer no rewards program. Like prepaid business cards, the Wells Fargo secured business credit card offers no introductory rewards. Most secured credit cards offer no introductory rewards, but the Discover it Secured, a personal secured credit card, will double your cash back during the first year. This isn’t a traditional introductory offer because it doesn’t require meeting spending requirement during the first few months of account ownership. When you choose points rewards, you’ll receive a 10% point credit when you redeem points online. You will pay a $24 redemption fee when you redeem your points for airline tickets. 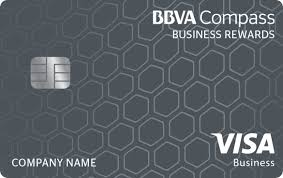 The BBVA Compass Secured Visa Business Rewards card offers a tiered rewards program that offers three times the points for office supply purchases, two times the points at gas stations and restaurants and one times the points for all other purchases. The Wells Fargo Business Secured Credit Card offers several additional benefits. It’sbest benefits include purchase assurance, which provides coverage against theft, and a periodic review to see if you qualify for an unsecured business credit card. The BBVA Compass Secured Visa Business card offers additional features, including travel accident insurance and an auto rental collision damage waiver. Wells Fargo will replace, repair, or reimburse you for eligible items in the event of theft or damage within the first 90 days of purchase. This coverage is identical to what the BBVA Compass Secured Visa Business Rewards Credit Card offers. On a periodic basis, Wells Fargo will review your account and recent credit history to see if you qualify for an upgrade to an unsecured business credit card. There is no preset time for when you might qualify. Your eligibility to switch to an unsecured card depends on a number of factors, including your payment history, credit score, and credit utilization ratio. In contrast, Discover it Secured says it will review your eligibility to move to an unsecured card beginning at eight months. You can customize the design of your Wells Fargo Business Secured Credit Card by uploading an image that represents your business to its online studio. The image, which could include your business logo, your storefront or product line, will appear on your secured business credit card. No other major business secured credit card offers this feature. With the Wells Fargo Business Secured Credit Card, you can request up to nine employee cards. 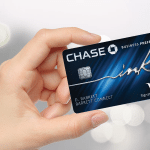 Employee cards, like the master account card, come with a $25 annual fee per card. Most small business credit card issuers ― with the exception of American Express ― charge no fee on employee credit cards, even if the primary card carries an annual fee. Plus, employee cards on the BBVA Compass Secured Visa Business Credit Card are free. Other secured business credit cards either charge no annual fee or no fee on employee cards, unlike the Wells Fargo Business Secured Credit Card. The BBVA Compass Secured Visa Business Credit Card charges an annual fee of $40, waived the first year. 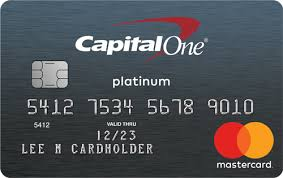 Some personal secured credit cards charge no annual fee like the Capital One Secured Mastercard and Discover it Secured. Wells Fargo Business Secured Credit Card reviews are mixed. We found numerous reviewers who said their responsible use of this card has allowed them to improve their personal credit score, sometimes by more than 100 points. Others complain that even when they improved their credit score, the issuer failed to offer them a chance to graduate to an unsecured business credit card. You can apply online for the Wells Fargo Business Secured Credit Card online only if you have an existing relationship with the bank. If you don’t have a relationship, you’ll need to apply in person at a branch. Wells Fargo will examine your credit experience, payment history, cash flow, existing credit obligations, and your current banking relationship. You can check your application status online at Wells Fargo. Existing customers can log into their account to check their application status. If you’re not an existing banking customer, you’ll need to provide your last name, date of birth, last four digits of your Social Security number, and the access code Wells Fargo sent to you via email. Login to your Wells Fargo Business Secured Credit Card account by providing your user ID and password. You can also contact customer service for Wells Fargo business cards at 877-436-4170. Wells Fargo offers two unsecured small business credit cards that both offer introductory and ongoing rewards. These cards both offer either cash back or points options and are best for small business owners with credit scores above 670. You’ll need to meet the minimum spending requirements to get the most out of these cards. Few issuers offer business secured credit cards. If you can’t qualify for an unsecured credit card, consider a business or personal secured credit card that charges low fees and ongoing APR. Also, keep in mind that not all cards are available nationally.